When you go to Rome there are just certain things that you do: visit the Colosseum, see the Sistine Chapel, throw a coin in the Trevi Fountain, and climb the Spanish Steps. And if you’re lucky enough to be in Rome on a Wednesday, you can hang out with pope like I did. 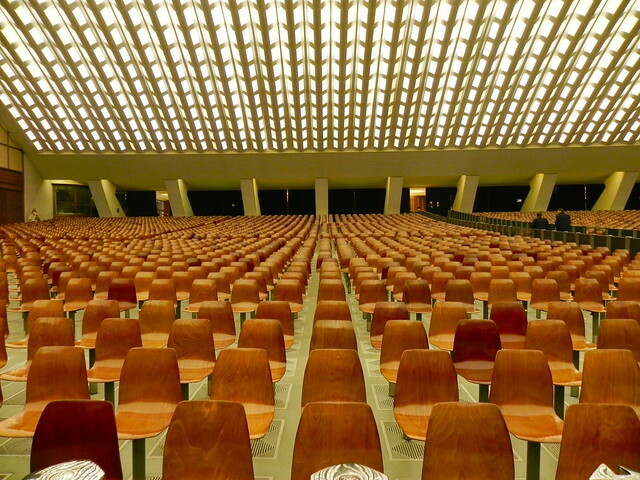 On Wednesdays, the pope holds a general audience in Vatican City at 10:30 am. Verify the time since sometimes, especially in the summer, it’s moved to 10:00 am due to the heat. Tickets are required and they are free. As an American, I could request tickets through the Pontifical North American College. Requests can be made by email (visitorsoffice@pnac.org), phone (+39 06/6900.1821), or by mail (Bishops’ Office for United States Visitors to the Vatican, North American College – Casa Santa Maria, Via dell’Umilta, 30 — 00187 Rome, Italy). 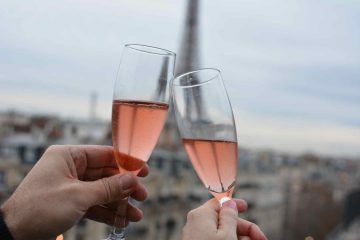 Requests should be made at least two weeks prior to your arrival and should include the number of tickets required and the dates of your stay in Rome. Tickets must be picked up on the Tuesday prior to the audience between 3:00-7:00 pm at the college’s office located near the Trevi Fountain at Via dell’Umilita, 30. I also found through my research that in the summer months it’s best to request the tickets as early as possible. Usually the audience is held in St. Peter’s Square in order to accommodate the large summer crowds, therefore even if you aren’t a lucky ticket holder, you can still attend the ceremony. Granted, it will be from the back of the square and you won’t have a seat. The audience I requested was the last before Christmas, and thus it wasn’t difficult to get tickets. As previously mentioned, most of the time the general audience is held in St. Peter’s Square. The pope is driven into the square in his famous Popemobile before taking the stage. 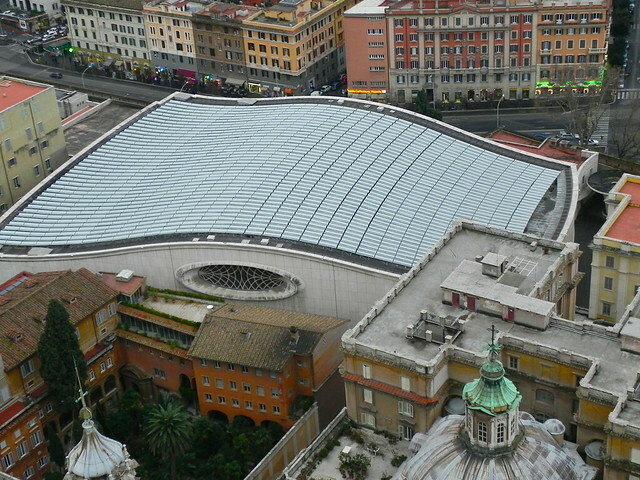 Since it was late December and a cold front had gripped Rome (and the rest of Europe, really), the audience I attended was in a huge building with a wavy roof next to St. Peter’s Square. An hour early, I filed in with the rest of the pilgrims. There were hundreds of people from all over the world already in their seats. On the stage was a giant Christmas tree and what seemed like a life-sized nativity scene. Jesus was missing from the manger, no doubt slipped in on Christmas Day. 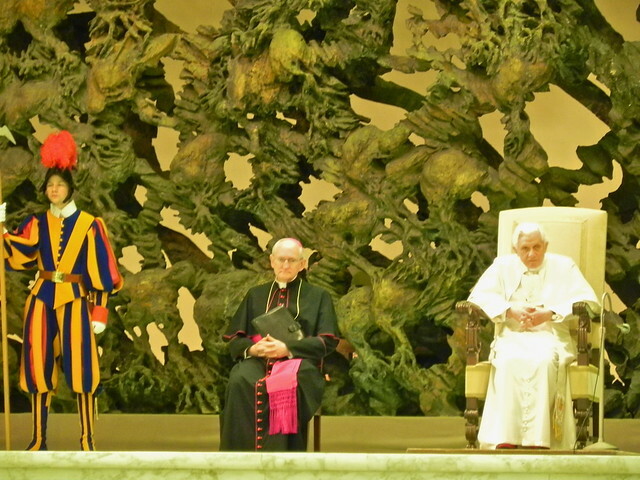 Chairs were on stage for the cardinals, bishops, and clergy in attendance, along with a comfy-looking quilted chair in the middle for the pope. 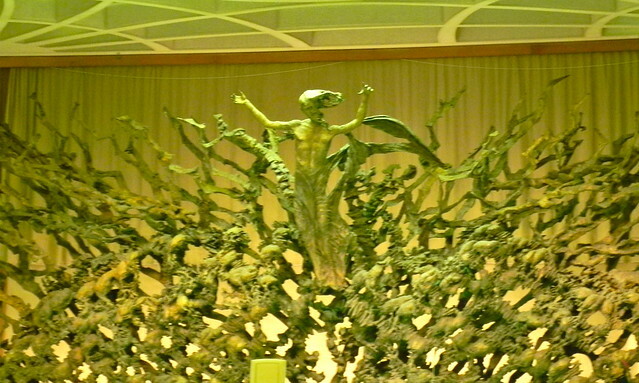 But what dominated the gigantic auditorium was the larger-than-live bronze statue that spread the length of the stage and rose to the ceiling. As 10:30 drew nearer, the anticipation of the crowd was palpable. Cameras were drawn and people jockeyed for the best vantage point. The only problem was that nobody knew which entrance the pope would come through. 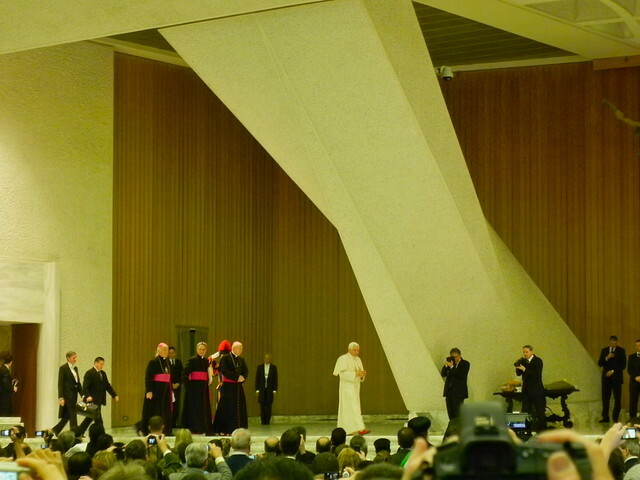 Pope Benedict XVI entered stage right and waived to the audience. Women squealed with delight, and fathers threw children onto their shoulders. Chairs were broken in an attempt to get a better look. Flashbulbs lit up the building. As a non-Catholic, it was interesting watching the reactions of the audience. 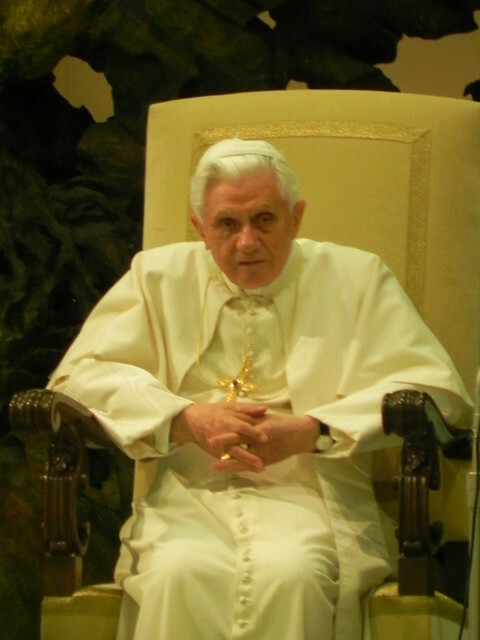 Pope Benedict XVI took his seat; I was surprised at how small and frail he looked. 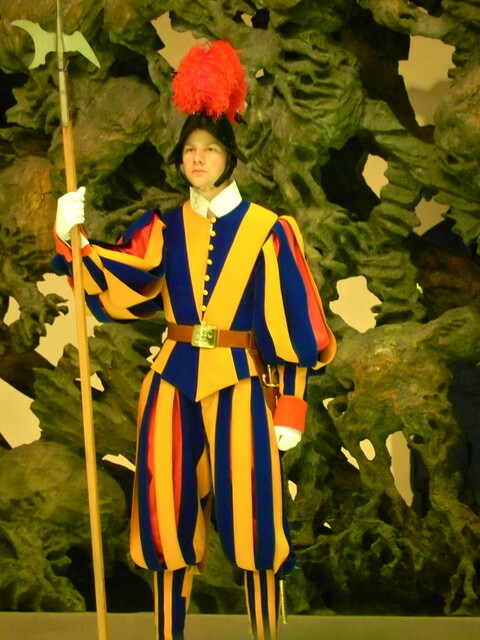 He was flanked by two cardinals and two members of the Swiss Guard. The crowd settled and various cardinals and bishops addressed the audience in their native tongues. 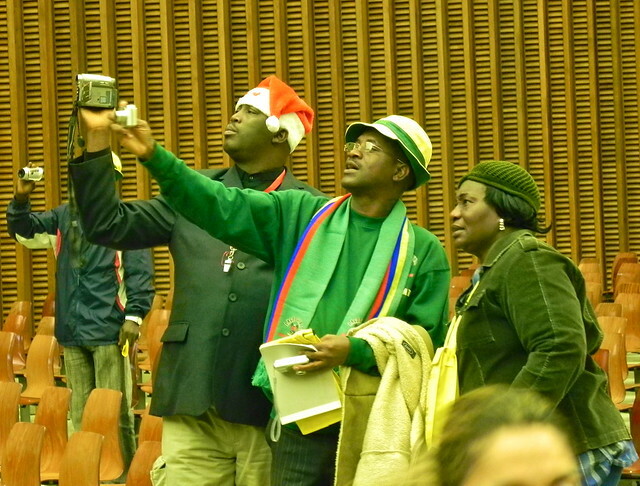 They welcomed groups individually from countries who spoke their particular language. For instance, the cardinal speaking in Portuguese welcomed groups by name from Brazil and Portugal. Those groups then stood up, waved flags, and cheered. If a choir was announced, they briefly sang for the pope. 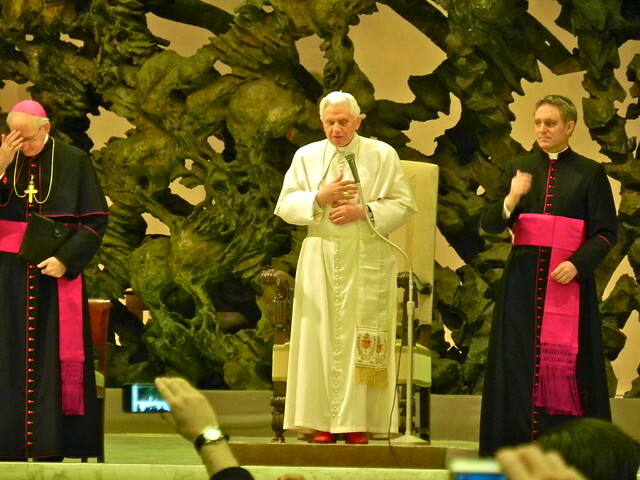 After the cardinals and bishops spoke and introductions were made, Pope Benedict XVI formally addressed the audience in no less than nine languages. No joke! I heard the pope speak English, French, Spanish, German, French, Polish, Portuguese, Italian, and Latin. It was simply amazing. 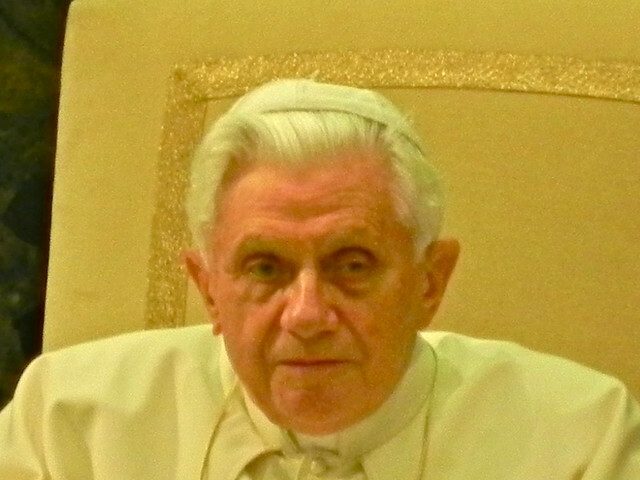 At the end of the audience, Pope Benedict led the crowd in the Our Father prayer in Latin. He then blessed those in attendance along with the sick and suffering. After the blessing and prayer, special guests were invited onto the stage. Various items, such as Bibles and rosary beads, were blessed. Before leaving, I took one last look at the crowd, some of which traveled thousands and thousands of miles for this experience. I noticed joy on many faces and tears in the eyes of others. Much of the crowd stuck around to squeak out as much time as possible with Pope Benedict. 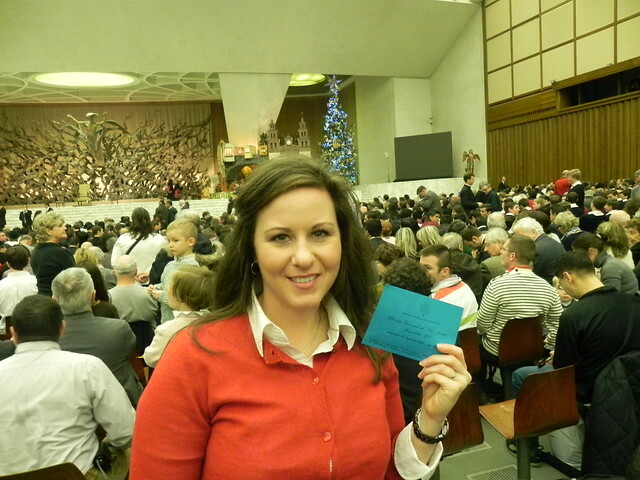 I made my way out of the auditorium and into St. Peter’s Square feeling better for having attended. Although I’m not Catholic, I left polarized by the experience of “meeting” the man who is responsible for leading over a billion people in their religion. We did the papal audience a few weeks before you did. As Catholics, it really was an awe-inspiring experience. It looks like you had better seats than we did. We were actually in the back and had to slowly move our way to the front by pretending to be part of some huge Brazilian pilgrimage. 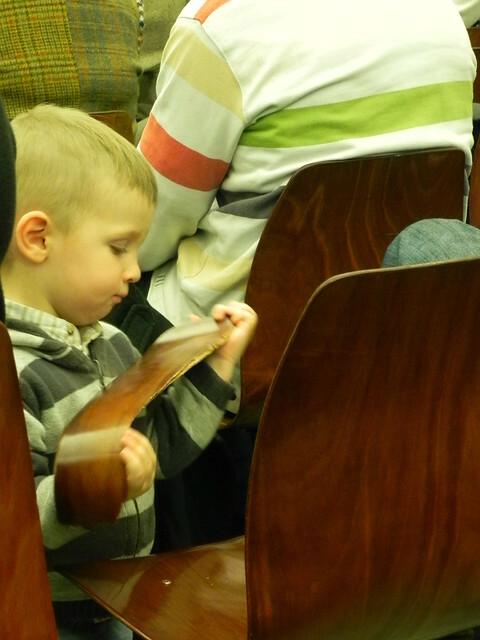 =) We had some very active youth groups in the audience who randomly broke out in songs and cheers before the pope came. It felt like a rock concert. Thanks for sharing your experience. Hey, whatever you had to do to get closer works for me! I loved the choirs that sang; they all had such beautiful voices. It sounds like my visit was much more subdued than yours, although, when the pope took the stage, the audience was like a bunch of preteen girls with Justin Bieber. It was fantastic! This is awesome! I’m not religious, but it would be kind of cool to have that experience, if only to people watch and see how others react. I’d have thought that his last Mass before Christmas would have been incredibly difficult to get tickets for! Right on! Yes, you should make it a point to go. I would do it again in a heart beat. I really was surprised that there weren’t more people there too. Actually, Rome itself wasn’t crowded either. We breezed right into the Vatican Museum and even had a seat in the Sistine Chapel. Go figure! That’s cool, Tyson. I’d like to go to an audience in the square as well. I bet it’s such a different atmosphere. I’ll check out your album. My wife and I were at the general audience just a few weeks after you, in February 2011. We’re both Catholic, so it was a huge deal for us. We arrived when the gates opened at 8:30 am and ended up with some great seats. You can also see the Pope almost every Sunday in St. Peter’s Square when he prays the Angelus or the Regina Caeli with the faithful. We were in Rome for six days, and we ended up seeing the Pope twice! Were they still having the audience indoors at that point? I think it would be neat to see an audience in the square too. Back in the 70s, my dad saw the pope, which ever one it was, on a Sunday. He said it was purely by accident and that is was great. That’s why I really wanted the experience. I’d definitely recommend it to non-Catholics and even those who are not religious. It was just a special thing to be a part of. Thanks for reading and commenting as well. 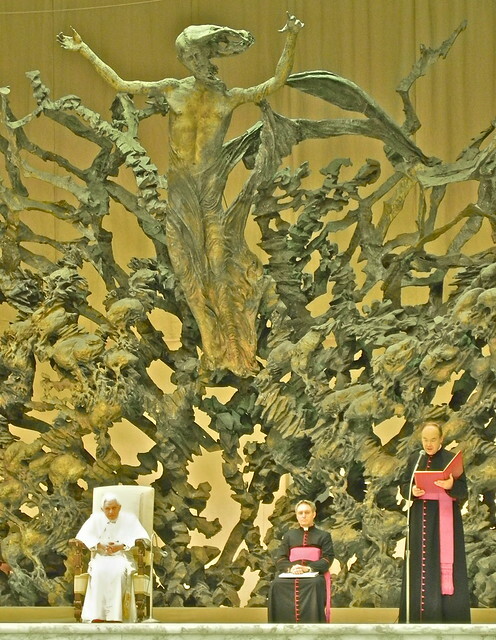 Yes, the audience was indoors in the Pope Paul IV Audience Hall. It was still quite cold in February. The Sunday prayer was outdoors, except for the Pope, who was nice and warm at the window of his apartment. I bet he was toasty from his balcony! Beautiful sharing!! I am a Roman Catholic from the Philippines and one of my biggest wishes in life is to see the Pope. Unfortunately, when Pope Francis visited the Philippines last January 15-19, 2015, I was not able to get nearer to the area where he passed, I attended the Papal Mass in Luneta but the altar was very far from where I stood. Hopefully, I could visit Vatican and Rome someday. The Pope does an audience most every Wednesday. When you get to Italy, make sure to schedule your itinerary to include Vatican City. The summer is very crowded for the audiences, so if you can go another time it might be better.